16oz. Bell Mugs. 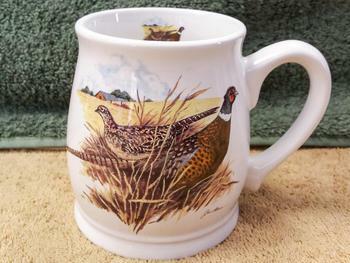 A unique style of mug with a wider base and elegance handle. Each mug is decorated by hand with Pheasant Couple scenic design, original artwork by Dann Jacobus. Look at the attention to great detail on this design!